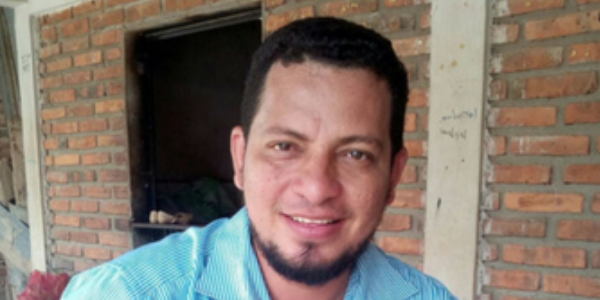 PEN International is seriously concerned for the safety of PEN Honduras member and journalist Jairo López who is facing threats following a smear campaign. López, who hosts TV News programme El Informador for a local television channel Canal 21 in Choluteca, southern Honduras, is known for his investigative journalism. According to López, a smear campaign against him began on February 7, 2017 when a piece was posted on social media claiming that the Public Prosecutor had issued a warrant for his arrest for being the leader of a local criminal gang and an emissary of a well-known drug trafficker. PEN calls on the Honduran authorities to ensure the safety of Jairo López and to investigate the threats against him as a matter of urgency. Claims such as those made against López not only damage his reputation as a journalist, but, in a country considered one of the most deadly for journalists, they also pose a serious threat to both him and his family. Since the video was posted, Lopez reports receiving threats and men on motorcycles have been seen circling his house. PEN International believes the smear campaign is in response to an unfavourable report on El Informador showing the President of the National Congress being attacked by protestors at a political gathering in Apacilagua, southern Honduras. López is believed to be targeted as he is the director of the TV news programme responsible for broadcasting the video. Urging the Honduran authorities to immediately assure the protection of journalist Jairo López through effective, appropriate and immediate measures in order to protect his life and that of his family, especially in light of the escalation of the threats made against him. Calling upon the Honduran authorities to impartially and swiftly investigate the origins of the threats against Jairo López and bring those responsible to justice. It is recommended that you send a copy of your appeals via your nearest Honduran embassy. 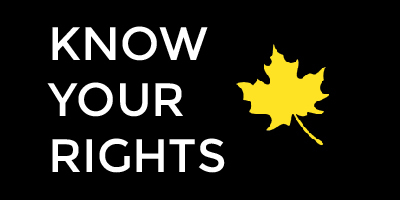 Please keep us informed of any action you take in regards to the cases of Jairo López, including any responses you receive from the authorities. Jairo López, a member of PEN Honduras, is a journalist who hosts the TV News programme El Informador for local television channel Canal 21 in Choluteca, southern Honduras. López is one of the few critical journalists in the south of Honduras; he is known to expose local government corruption, such as the sale of jobs in the Department of Education and the illegal appropriation of water. He used to work for Canal 42 and Metro TV and claims he was fired because of his work. According to López, a smear campaign began on February 7, 2017 when a video was uploaded on social media claiming that the Public Ministry had issued a warrant for his arrest for allegedly being the leader of a local criminal group and an emissary of a renowned drug trafficker. PEN Honduras claims the smear campaign against Lopez is a direct response to an unfavourable news report showing the President of the National Congress, Mauricio Oliva being accosted by protestors at a political gathering. The report shows Oliva being prevented from attending the meeting by local people throwing stones at Oliva’s car and Oliva’s security officials drawing and pointing their guns at the crowd. According to journalists in Choluteca, attempts were made to suppress news coverage of the incident after many national media outlets were threatened with having their state funding cut. López is believed to be targeted as he is the director of the TV news programme responsible for broadcasting the video. PEN International considers that López is being targeted solely for exercising his right to freedom of expression, enshrined in the Honduran Constitution (Articles 72-75 and 79), as well as in the American Convention on Human Rights (Articles 13 and 15) and the International Covenant on Civil and Political Rights (Articles 19 and 21) to which Honduras is a state party. PEN urges the Honduran authorities to act immediately to guarantee the safety of López and his family. Over 50 journalists have been killed in Honduras since 2003, according to PEN’s information. Convictions have been obtained in only four of these cases – an impunity rate of 93 per cent. Even in cases with convictions, justice is only partial and none of the masterminds have been prosecuted.